While many automakers have been turning their sights to electric technology, some individuals have already made their own small contributions toward this goal. 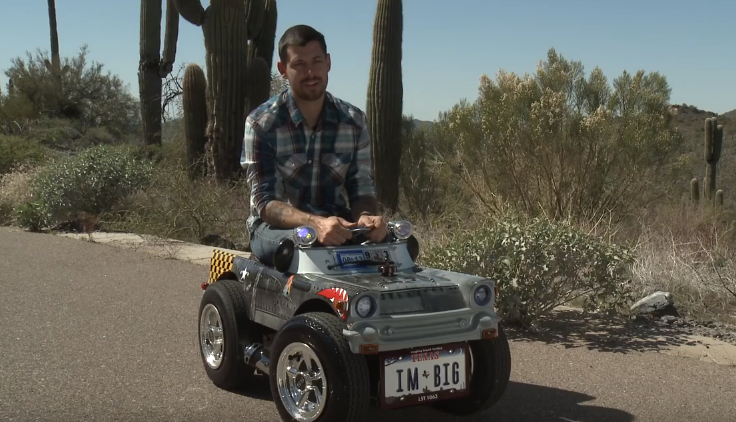 Phoenix native Austin Coulson holds the record for producing the smallest roadworthy car on the globe. 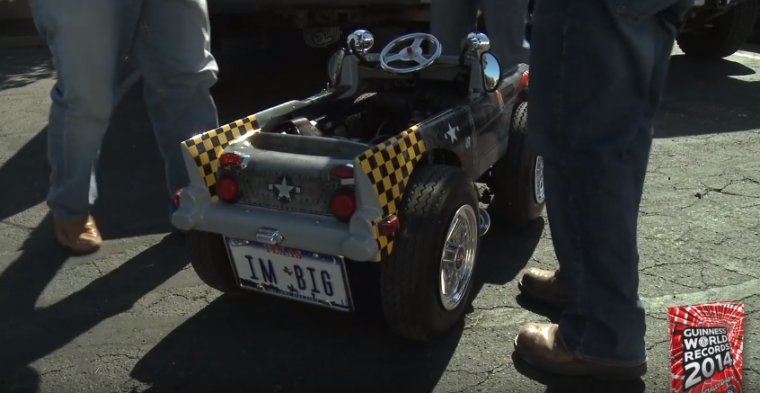 It’s a petite Jeep powered solely by electric that reaches an optimum speed of 25 mph. It measures 25 inches high, 2 feet 1.75 inches wide, and 4 feet 1.65 inches long. Although his family remained skeptical of the project as he was working on it, Coulson succeeded in both building it and getting it legalized for use on the road. While it’s not the speediest of vehicles, he enjoys driving it around Phoenix every now and then. The Jeep’s exterior was inspired by the U.S. P-51 Mustang military aircraft. Coulson also inscribed the sides of the Jeep with the tail numbers of the World War II era ship that his grandfather served on. The vehicle’s style has made it a popular sight at veterans’ military parades in the area.